Floating Bluetooth Speakers – we take a look at the best sellers! We love sound. It’s hard to image getting through the day without listening to our favorite music, radio or podcasts. But the way we listen to sound is changing. While we still love our home stereo systems, we also crave speakers that can let us listen to high fidelity audio anywhere. 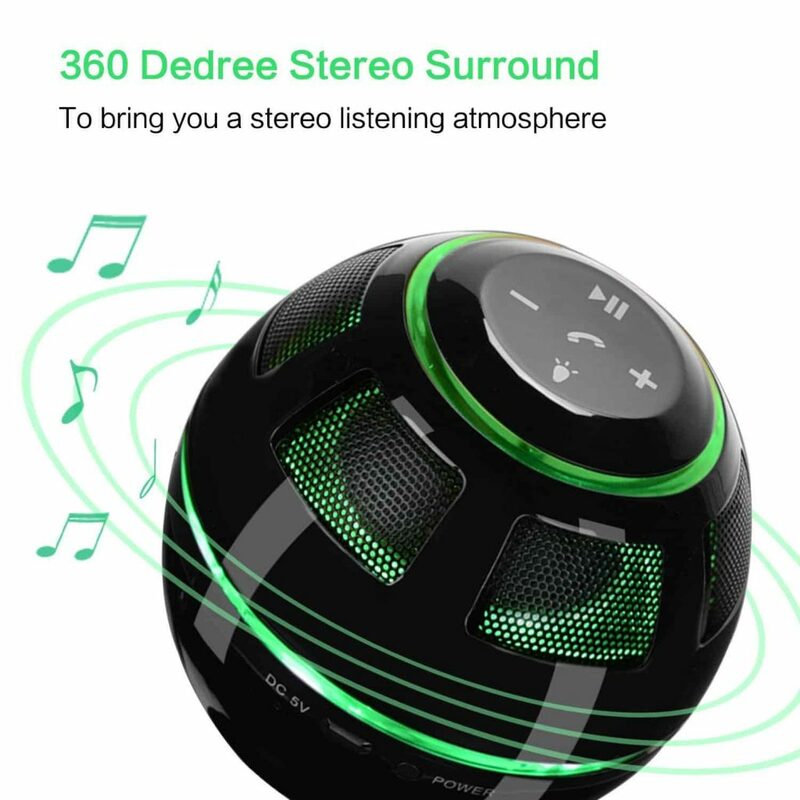 Just below, we’ve reviewed the Top 5 Floating Bluetooth Speakers of April, 2019. These ultra futuristic looking gadgets are a dream if you want something very different. 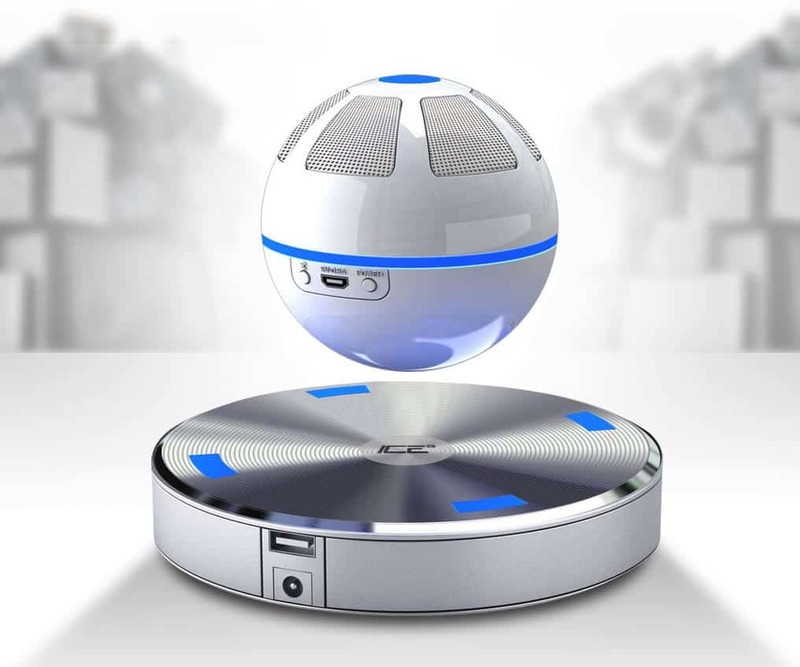 A floating speaker literally levitates above its dock station, allow the sounds to disperse from all angles. Once its low on battery, the speaker will gently glide down back to the dock. We’re mesmerized watching these next-generation floating speakers and had the best time testing them out for you. 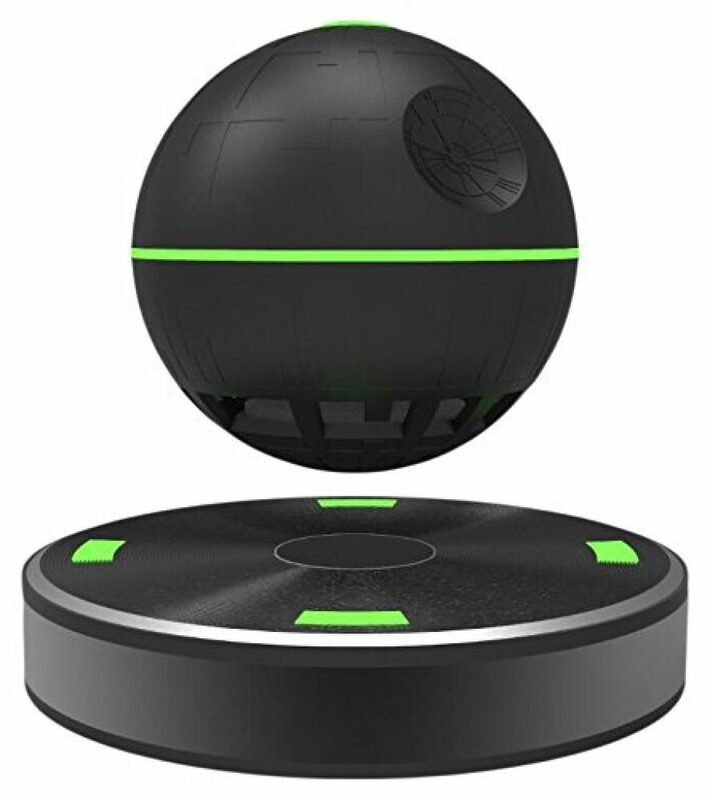 This cool little levitating speaker is a delight for both adults and kids. 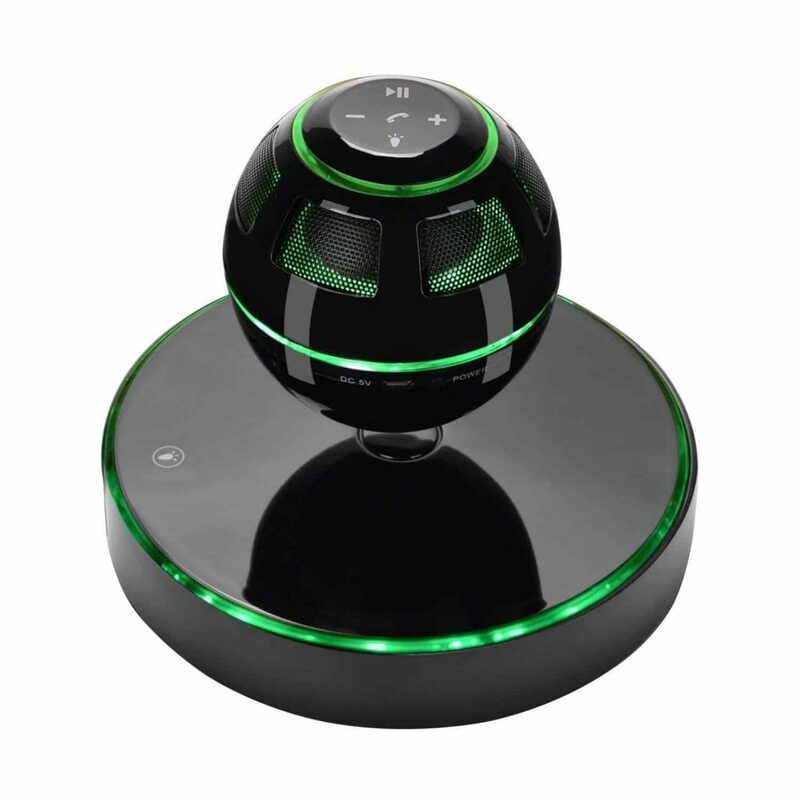 It provides high quality 360 surround sound perfect for the home or office. Instructions are easy to follow and we had it set up in no time. The infinity orb is straight from the future. 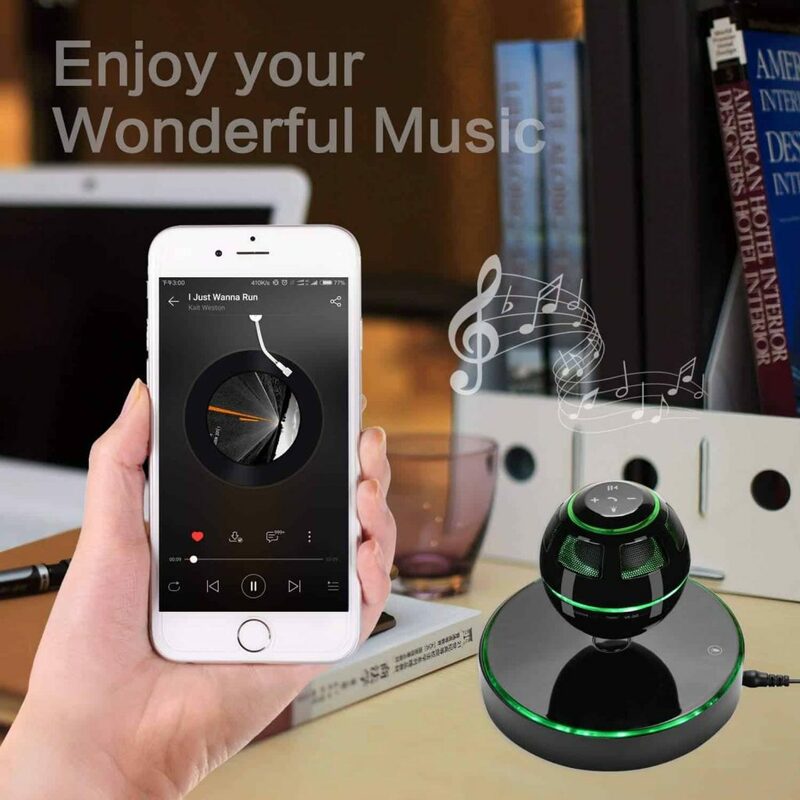 We love how it looks like a cool gadget but it delivers in the all important sound. The volume on this speaker is great with no distortion. The sound is 360 degrees, which means more bass and more treble. This Bluetooth speaker can take your calls, projecting voices in crystal clarity. The battery life is very good, we had our speaker going for hours. Initially we had problems turning up the volume. 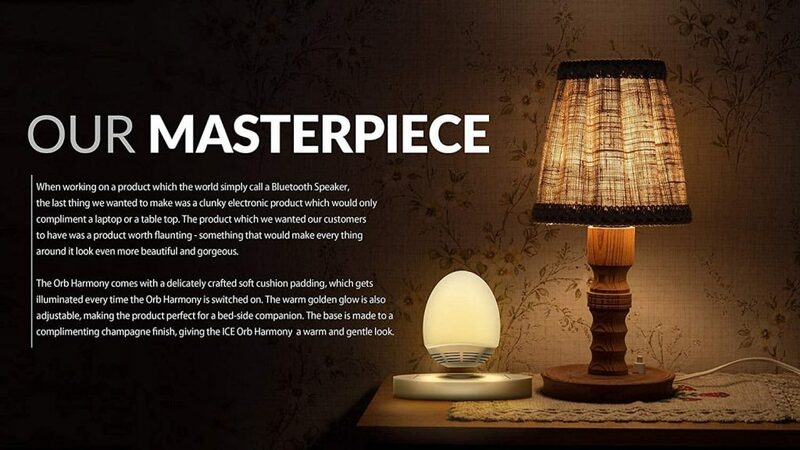 Once we figured out how to do it using a smartphone, the speaker performed outstandingly well. 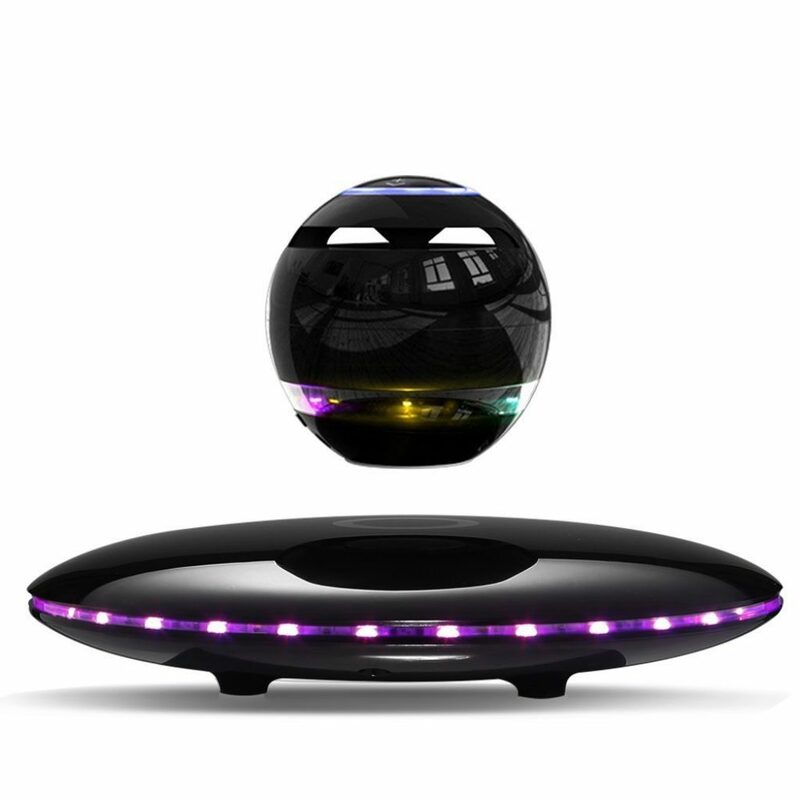 The infinity orb is the ideal floating speaker for all ages. 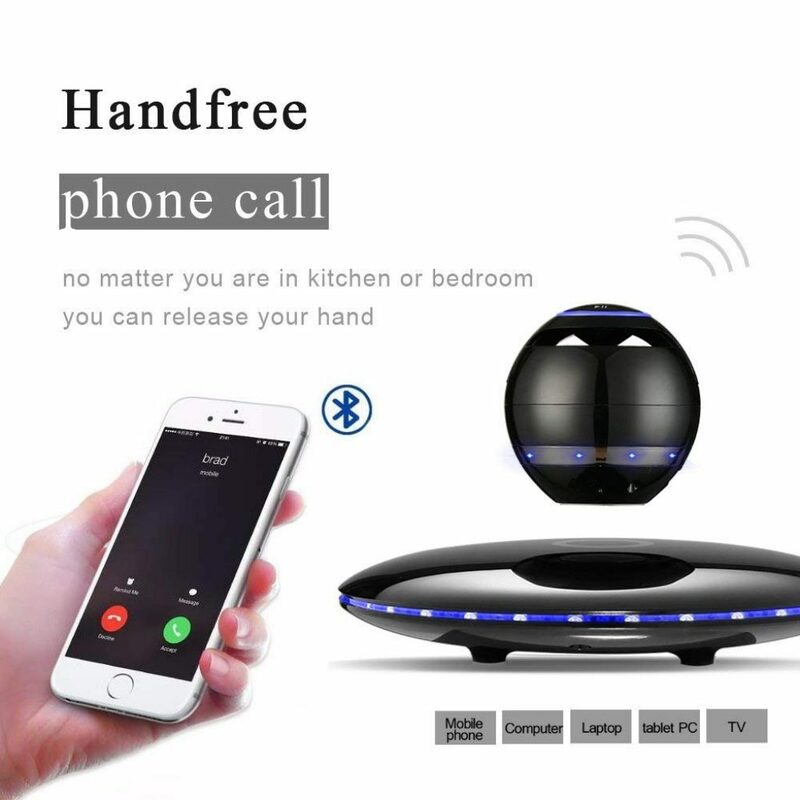 It looks fun, it sounds amazing and connects to your phone for calls. It’s durable, lightweight, shatterproof and an excellent price when bought on Amazon. 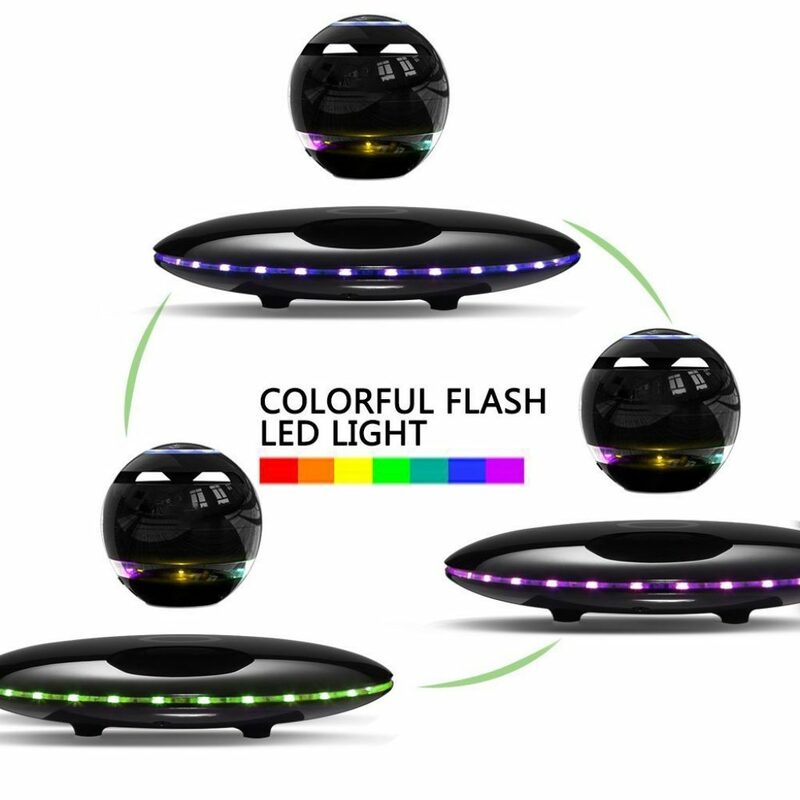 Amazing LED Visual Effect -The base illuminates continuously different color LED lights. 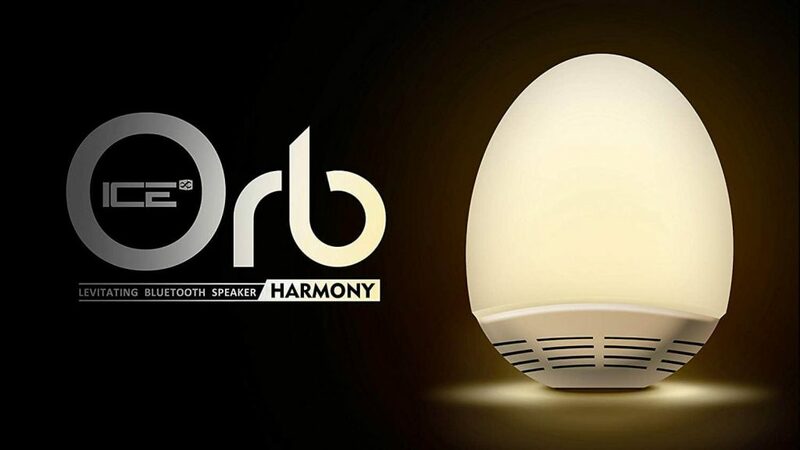 The orb can be used as a standalone speaker without the base. 3D Surround Effect - Special sound guide cone designed to offer a distinctive timbre. 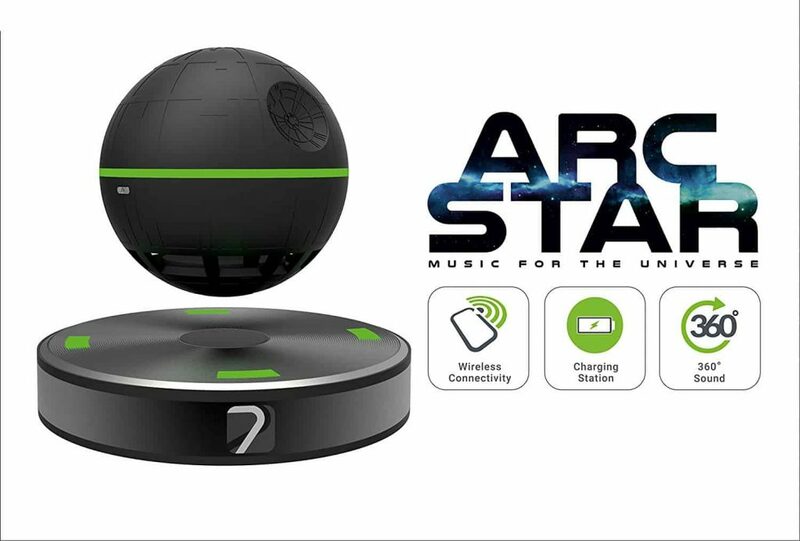 This wireless floating bluetooth speaker looks like something from Star Wars. It looks stunning and performed well even with a weaker connection. 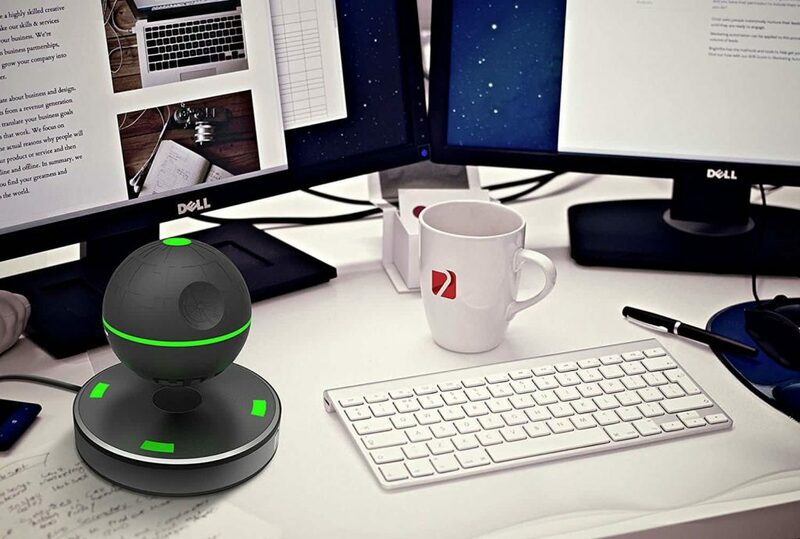 This space like orb can be used as a levitating or stand-alone speaker. It will spin and float, providing endless entertainment. 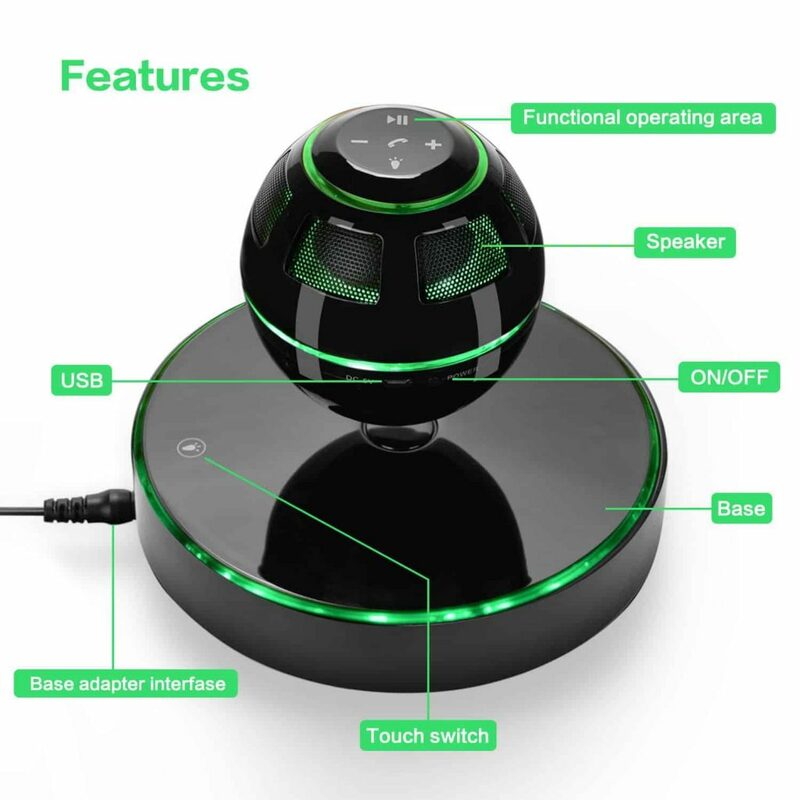 But this gadget isn’t just all about the fun, it’s a serious speaker that provides good quality audio even by experienced standards. The battery lasts for ages, charging quickly when plugged in. All in all, a great speaker, at a good price. Take care as if this speaker is placed on an uneven surface, it can easily fall. Other than that, it’s a super product. 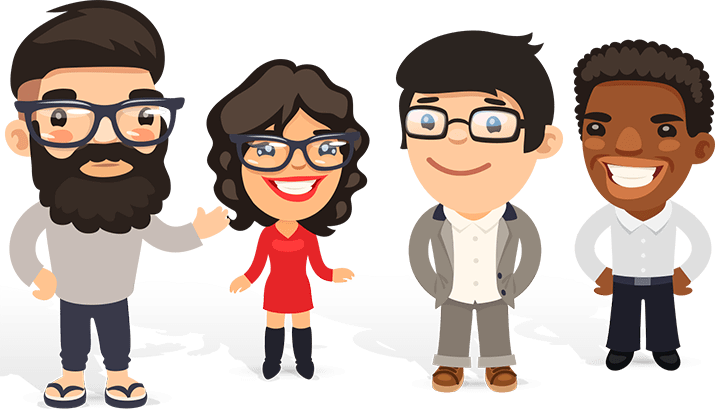 Overall, this is great, and does exactly what we want it to do at a more than reasonable price. We love the cool design of this floating bluetooth speaker. With plenty of playing time and great connectivity, this one’s an instant winner. This is a brilliant speaker. It comes with a smart touch screen and the sound quality is excellent, and the appearance gets 10/10. The Bluetooth connection is good and appears to be stable, and it’ll play for up to 5 hours straight before needing a recharge. What sets this floating speaker apart is that there is a built-in subwoofer and the whole device is waterproof so you can play it outside. The assembly takes a bit of time, but if you follow the instructions, you’ll be absolutely fine. 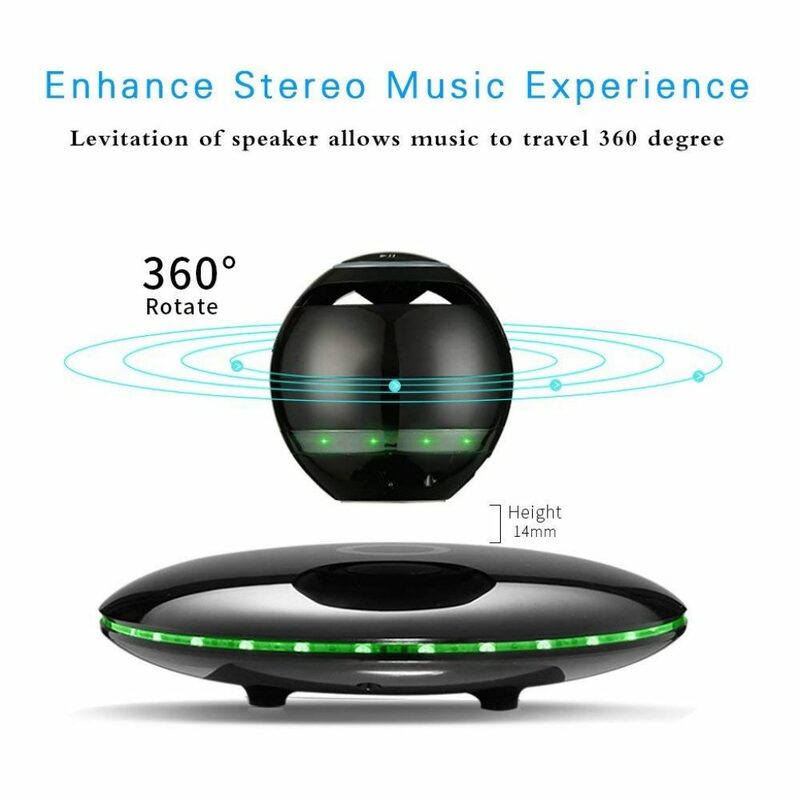 This levitating speaker does the trick. 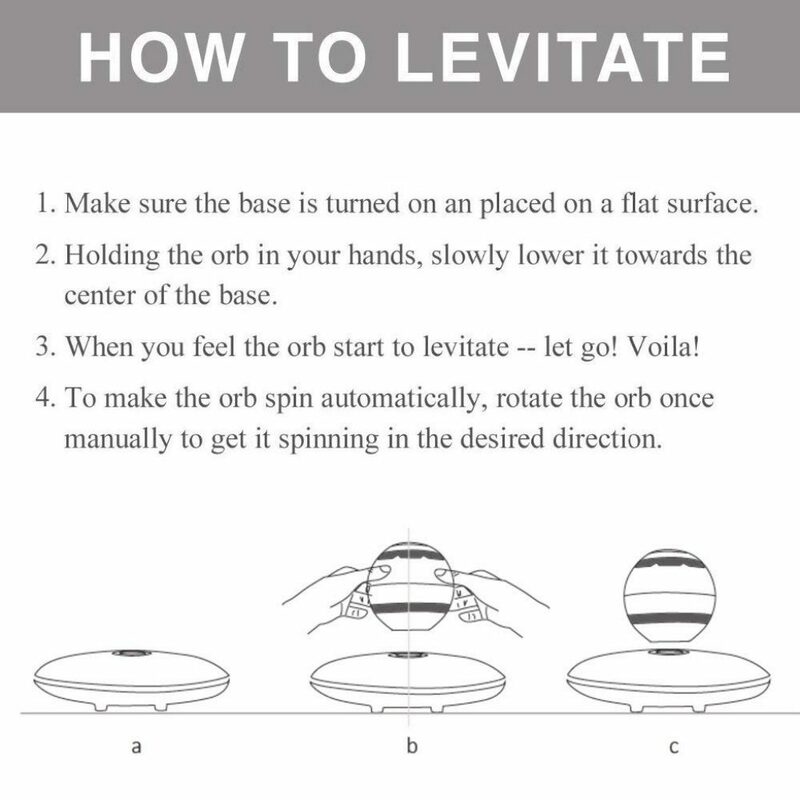 It levitates, plays for hours, and is great value. A striking gift for yourself or a friend. Touch Screen Design & Fashionable Floating Design: Lighter and easier to float. 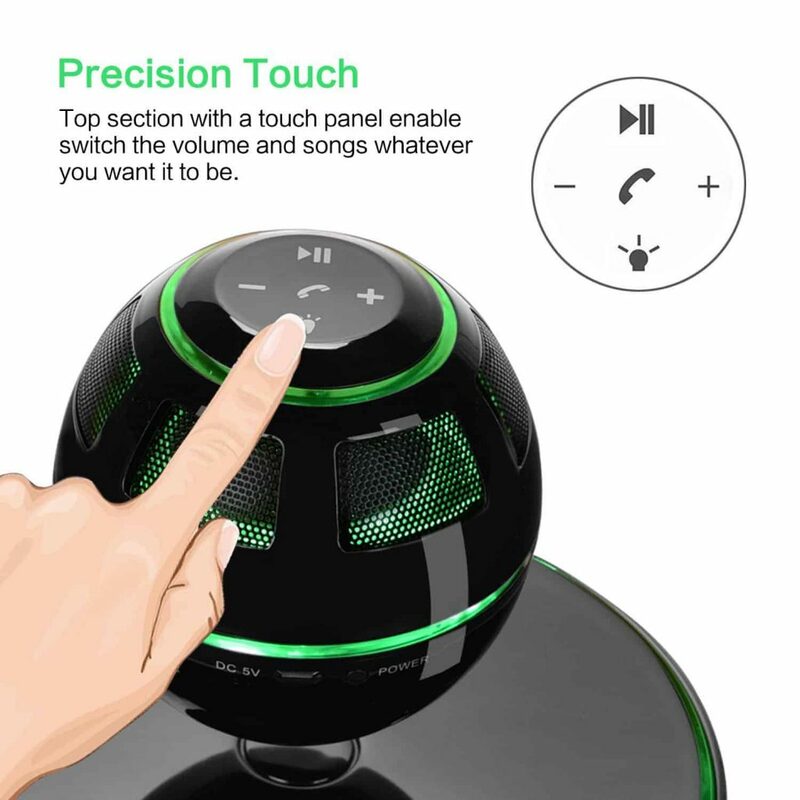 Floating Maglev Orb speaker over a magnetic base. 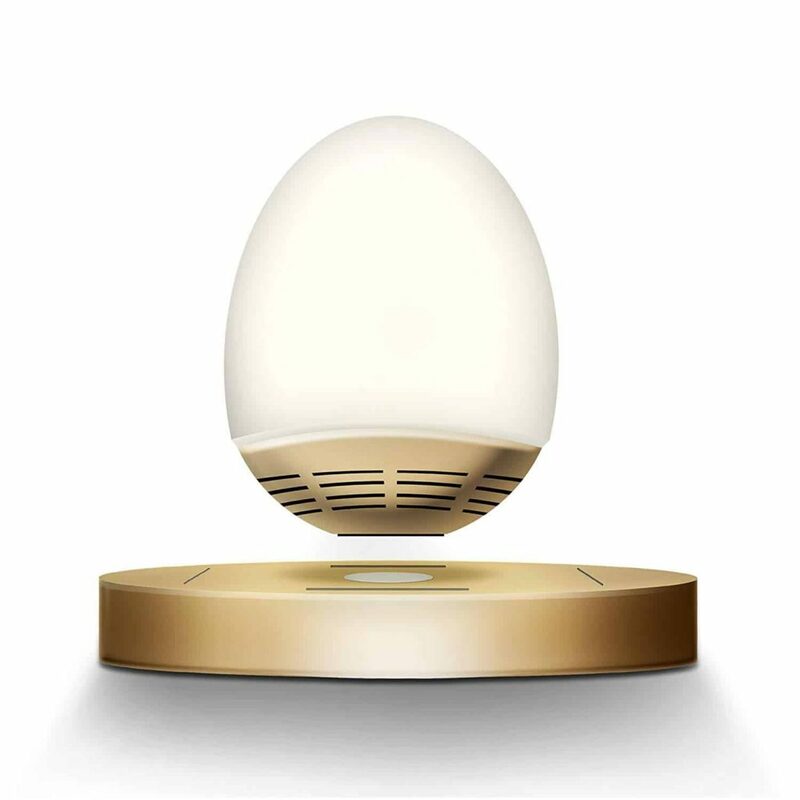 Built-in NFC feature: can pair any smart phone or tablet with NFC function automatically. This looks fabulous – really well made and innovative. 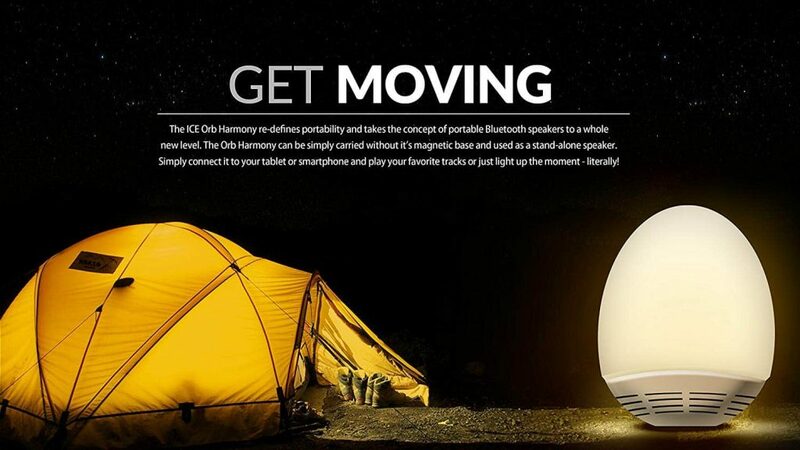 The ICE Champagne floating bluetooth speaker would look perfectly placed in any modern home. It arrived in a neat, sturdy box which always gets us off to a good start. 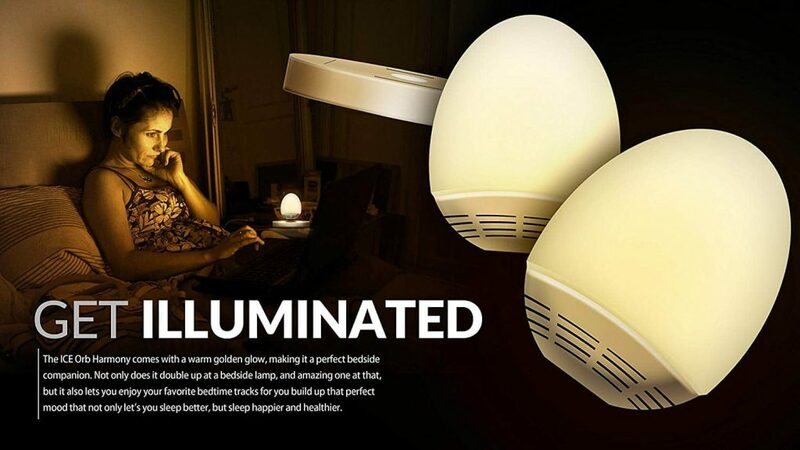 This is amazing– the sound quality is on par with the best, the construction is excellent, and the lighting is superb. 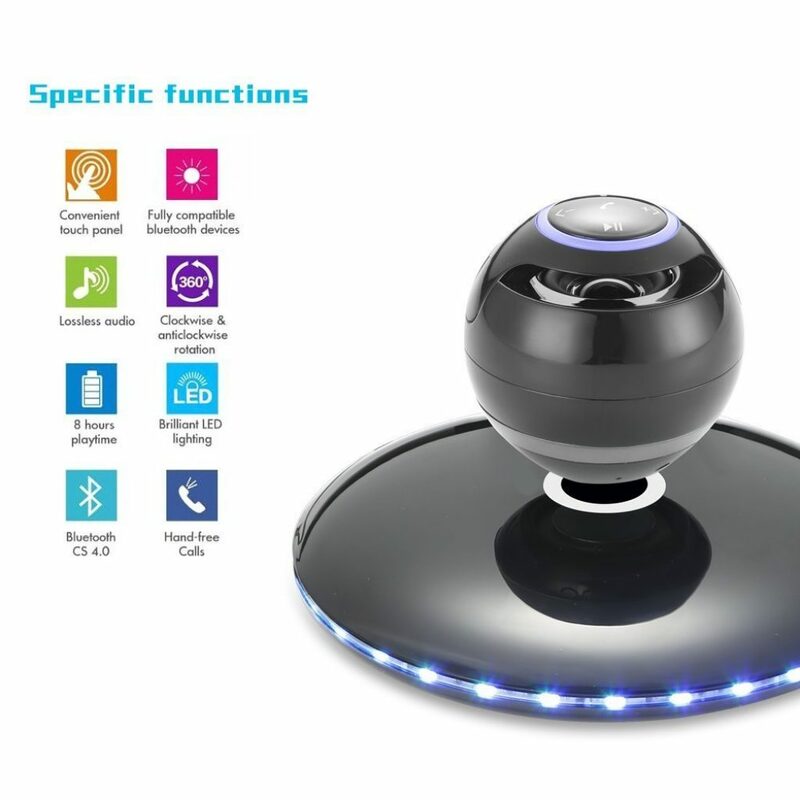 This orb shaped levitating speaker has the added benefit of creating a peaceful ambience. 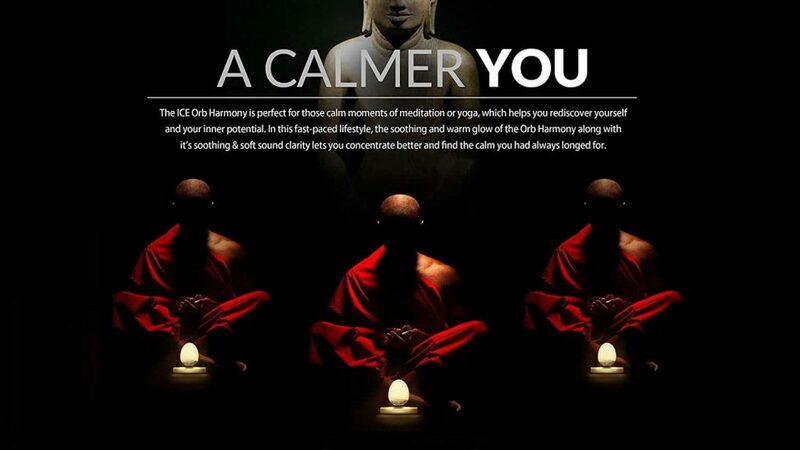 We could see it as a cool addition to a modern interior equally as well as a visually calming speaker for use in meditation. Out of all of the models we tested, this has the most minimalistic design. We’re enthralled with it. Make sure that nothing covers this snazzy speaker. If there’s an obstruction, the sound will come out muffled. We're thrilled with this speaker, and would happily buy it for friends and family. I can be placed anywhere in the home or office, but looks and sounds especially magnificent in the bedroom. ICE have created a definite winner! While this speaker doesn’t levitate, we couldn’t resist including it given its outstanding credentials as a best-selling bluetooth speaker. 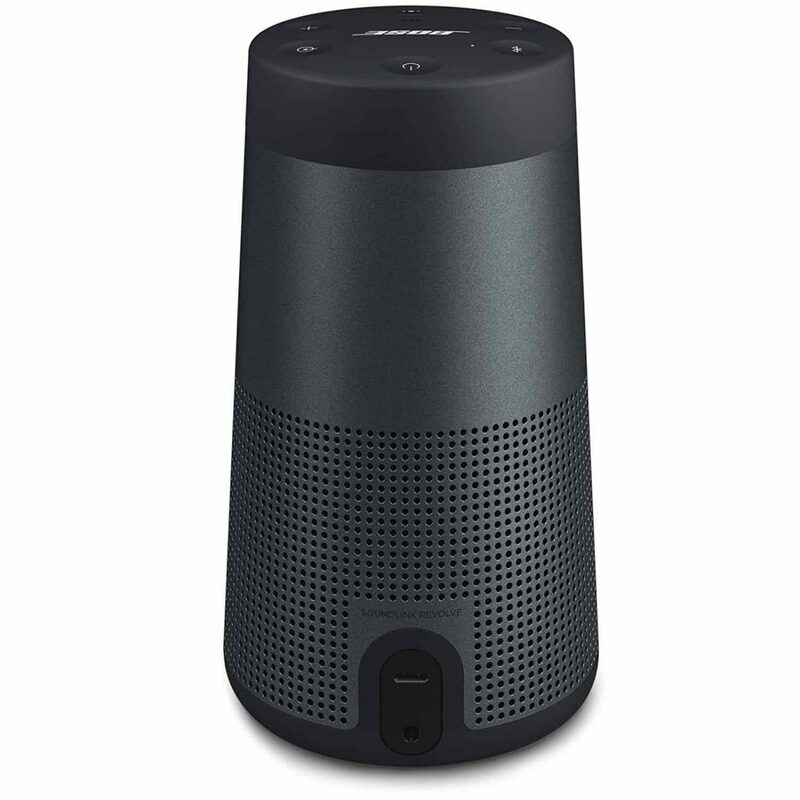 The SoundLink Revolve is a state of the art sound system that is ergonomically designed and highly portable. 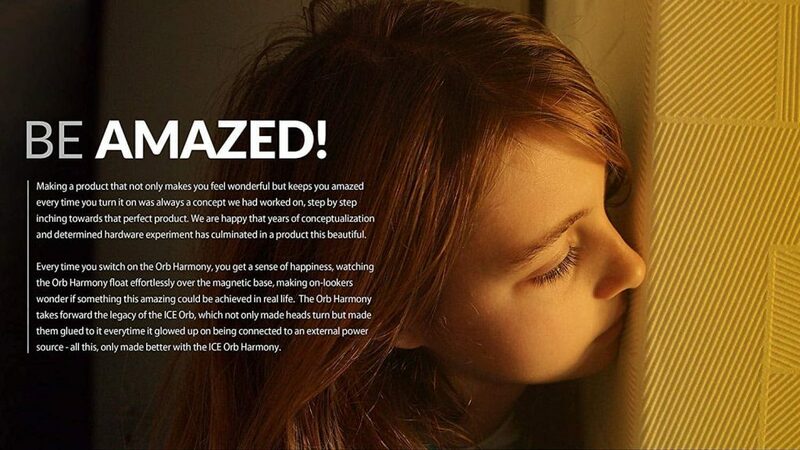 Take it with you anyway, and enjoy amazing sound. 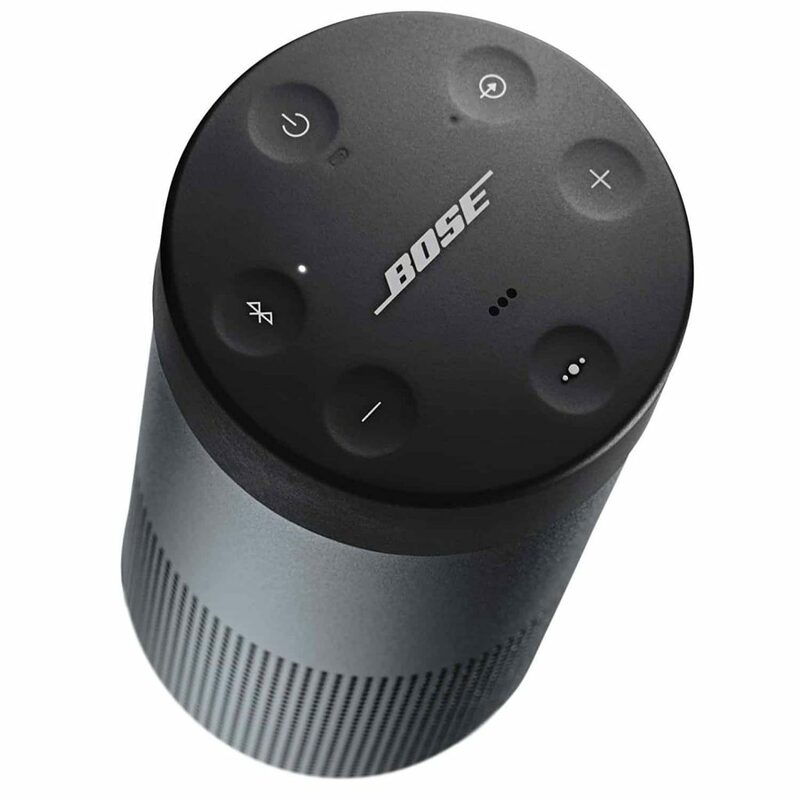 There’s a lot to love about this BOSE. 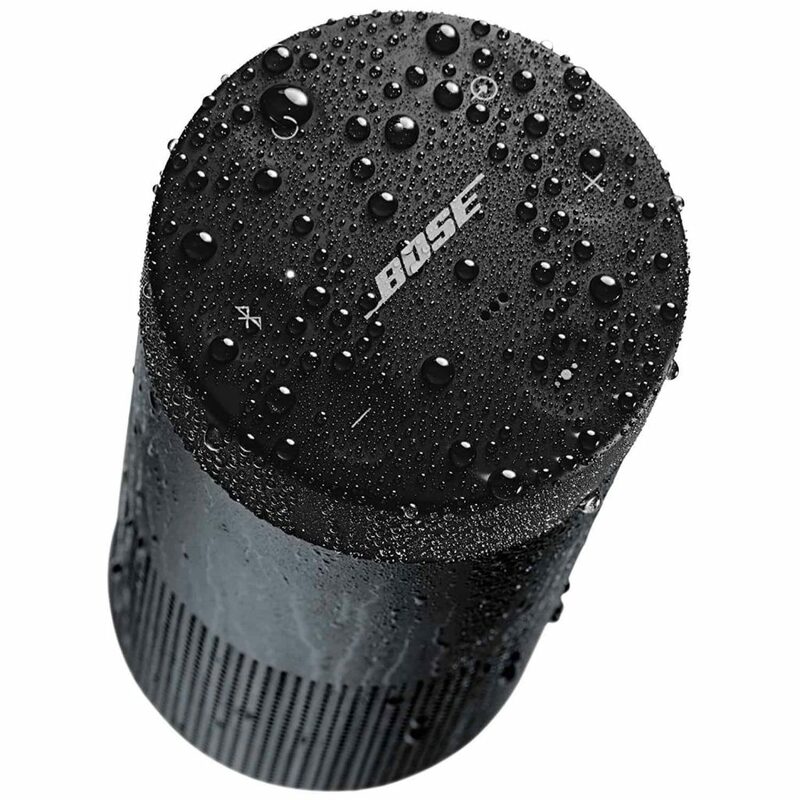 It’s incredibly well designed with a rubber grip for any surface, 360 degree sound and an aluminum body that is both tough and water-proof. That means you can take this speaker outside without having to worry about it. 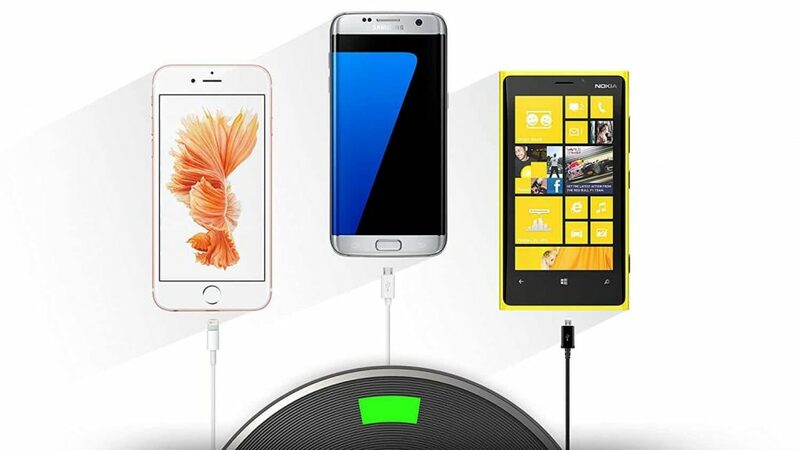 The battery lasts for up to 12-hours and you can pair it with almost any smartphone and tablet. It’s also compatible with SIRI and Google Assistant. The bass may lack that heart thumping depth, but it’s not an issue as far as we’re concerned – the overall sound quality makes up for it. We really like this impressive speaker, and whilst it won't float it's super portable, and definitely earned its place on our wish list! Check out our other hand selected recommendations!